The soft cool wind rustled the tree leafs of the human world. The sky was white with clouds but it was a nice day to be outside . Many human children were out playing or exploring the parks with the watchful eyes of there parents. Birds were wandering around looking for scraps of food or flying around and bickering ever once and awhile. Yet one bird stood out among the rest of the flock. It was brightly colored in red and gold with the slightest hint of a purple shade rather then the normal small brown finch or black bird that roamed the area. Of course to any normal person they could not see this tiny bird for it wasn't a normal bird with an odd coloring, it was a hollow. Most of the other birds could at least feel her presence and the rare few could see her. Mostly they kept there distance from her but they did allow her to stay around because she would fly to a place with food they could eat. She had to keep them alive for now just so she had a cover in case anything nasty were to come around. She could hide within the flock making it harder for her to be spotted. She would keep them here for a while until she got ether strong enough or just bored before killing them off. Rekka found the birds to be quiet annoying at times and would sometimes question herself about why she just didn't kill the things. She fanned out her wing and started preening her feathers cleaning and smoothing them. Lifting her head as her hunger started to take over she took flight looking for her next meal. Rekka perched on a branch and looked down on the victim she had chosen. A adult male spirit those has just seemed to have died. She could turn him into a hollow seeing that there races numbers have become thin or so she has heard. She was much to hungry to really care not that she did at all in the first place. She only cared about her own survival and would slaughter any thing that got in her way. Opening her jaw she started to concentrate her spirit energy there making a fire ball. The mixture of yellow and red flames licked and ate at the oxygen around her growing larger. Soon it was big enough but Rekka felt unsteady and when she fired the mass it split apart and hit the building she was near. She chirped with dissatisfaction at her failure and decided to just dive onto the spirit, her cover was blown anyway. She clawed at his face and pecked at his eyes but with her small size it was much harder to kill like this. She wanted to watch him burn but instead she had failed. She took her anger out on the spirit as it thrashed and tried to get away. After the huge struggle it was finally dead and Rekka was left panting as she sat on top of the body. When she recovered a little she began to feed on the large soul. A door instantaneously opens to Ren walking out of it, when it closes it's gone, just like that. He takes a deep breath, this is the living world eh, nothing exciting he--. His thought was cut off by a hollow, it looked at him, screamed then rushed his way, he was the one to be attacked too. Sheathing his blade he waits for the hollow to come close, then sent fire in the form of a fist at it. Using the fire to cover him he dashes under it and uppercuts it then somersault kicks it, and while flipping back he grabs it and pulls it by its mask in to the ground, cracking it in half, killing the hollow. He watched as it turned into purified spirit orbs. He then turns when he sees a phoenix from the corner of his eyes, feasting on a soul. In an instant he was before her, his eyes as cold as ice, he speaks. "You, will you attack me too or will you play it smart?" He doesn't reach for his blade as he was curious to see just what she would do. He knew that just by reiatsu that she could overpower him. He also knew that this one would most likely be smarter than the one that attacked him earlier. Rekka who had just finished her meal started to preen her feathers again somewhat ignoring the man who had just killed the other hollow who was after her dinner to begin with. She raised her head from her breast and without turning her head gazed up at the being laying a single golden eye on him as she scanned him up and down a moment. "I may be little but I'm not stupid" she retorted. Flexing her wing she took flight and landed in the same branch she had been in before. She didn't like being on the ground it made her feel unsafe and small. Digging her small claws into the branch she got a better look at the man. Black ninja styled clothing with a wolf printed on it. How typical a shinigami wearing black, with them nearing wearing all the same color it made them look like the mindless ones. Oh course she kept this to herself mostly as a private insult. As she continued her preening she said "are you just going to stand there all day or do you want something" she spat. Ren looked hard at the hollow who seemed to be ignoring him, he figured he was wrong, this one was just like the others. That's when he was caught off guard by her suddenly speaking. "I may be little but I'm not stupid" She retorted, he didn't care much for her comment, but he was however very intrigued that it could talk. He stood, stance ready as a counter action of her moving to the tree. "are you just going to stand there all day or do you want something" She spat, he responded by allowing orbs of flames to rise out of the ground around him, he smirked, wondering what she meant by that. "Well wha da ya mean by that?" He reached for his blade, but didn't draw it, however his sheath and bard lit up with fire. He slowly began to draw his blade when suddenly his personality changed, he was now Hiru. The flames disappeared. "Eh, where on earth am I now?" He asked in a laid back tone, his seemed to have taken a 180, he was no longer himself. Hiru looked around in order to get a better bearing on his surroundings when he noticed a phoenix sitting in a tree. In an instant he was sitting in the tree next to her. "Well hello there, you must be Ren's friend, allow me to introduce myself, I'm Hiru, his other side." Just like that he was back in his original spot, bowing, if she(Rekka) was paying close attention she would have noticed him shunpoing both times.Please forgive him if he was ever rude to you, he's kinda been that way ever since he was allowed out. He looks up. By the way, who are you? He asked, wondering if she may have been confused by his random friendliness. Watching the fire raise up she smirked a little readying herself but she was completely taken off guard by the sudden change in emotions. Her feathers were ruffled by the time Hiru had stopped speaking. She blinked at him then shook herself so her feathers lay flat once more. "Well aren't you interesting.. a split personality huh" she said getting a closer look at the man. "As for me I'm Rekka and that other..Ren was it, we are not friends." She raised a wing in a graceful manner "He was trying to burn my feathers off though seeing that we have the same element it probably wouldn't have done much." She turned her head slightly giving him her innocent expression, the way a child would if it wanted to blame the other for starting a fight. "Well aren't you interesting.. a split personality huh" He scratches his head and smiles, it was new to hear those words spoken to him. Normally he was labeled weird, unusual, or different. He then shrugs. "If you want to call it that." "As for me I'm Rekka and that other..Ren was it, we are not friends." He gave a silly look when she said that, he actually wasn't surprised to hear that considering who his other side was. He noticed how she gracefully raised her wing and spoke. "He was trying to burn my feathers off though seeing that we have the same element it probably wouldn't have done much." Ren, still holding his silly folded one arm and rubbed his chin with his free hand. "Oh myyy, that's not good, I'm terribly sorry for his behavior, I guess I decided to take over at the right time then huh?" He smiles sheepishly, in an attempt to try and make her either smile or laugh at his foolishness. "As for Ren, I'd suggest that you keep your guard up when he's around, he tends to be unpredictable sometimes, I've know him for about twelve years or so and I still don't know him that much." That's when he noticed her innocent look. "Aaaaww, that's adorable, while my other personality may be a bitter person at heart." He appeared in front of her by the use of his shunpo, he begins to lightly pinch her cheeks. "I tend to be friendly type, nice to meet you, Rekka." Rekka took the pinch unmoving and thought to herself while she had the time to pause. This guy, its so easy to gain his trust that he almost seemed kind of stupid. No wonder the other one wanted to be out all the time. Maybe I'll be able to make him trust me enough to keep the other one at bay so maybe I can eat this guy. Her thoughts trailed off as she tried not to draw to much attention to herself for being quiet. "Thank you for the advice I'll be careful" she said gently. She slowly pulled her cheeks away from his hand and climbed onto his hand then up his arm to rest on his shoulder. "So do you have any idea why Ren brought you to the human world? There is not much here though I guess I only see it that way because I tend to hide from the bigger hollows." She ruffled her feathers a little and looked up at him with her large golden eyes with curiosity. "Thank you for the advice I'll be careful" Ren sighed in disappointment when she pulled away from him. He smiles as the phoenix climbed up to his shoulders where she sat there. He began to pet her as she asked. "So do you have any idea why Ren brought you to the human world? There is not much here though I guess I only see it that way because I tend to hide from the bigger hollows." He stopped to think about it for a moment, he couldn't see any reason to stay where they were other than to eliminate the threat of the quincy invasion, other than that he was wasting staying there. "Well I would say that he left for one reason and on reason alone, because he want to find something to interest him, he must have been looking for excitement when he found you." He started petting her again. "I can already tell you right away that you have earned his interest, especially if he had considered fighting you. I guess he may have left because he has a dark childhood, but then again, who didn't?" He asked as he looked directly into one of her large, golden eyes, something about them had him wondering. Rekka looked down it thought "sometimes not remembering is even worse then if you did." She knew nothing about herself besides her own name and the only thing that plagued her was hunger. It was a meaningless life which made her wonder why she was living it, why she couldn't give it up. The only pleasure she has gained is from ending other lives trying to make them seem more meaningless then her own. The only thing she had for a hint was a black rose pin that she had found lying next to her when she first awoke as a hollow. Why was it that she wanted to survive so badly; why is it that she fights so hard? She couldn't get those thoughts out of her head "..what makes life worth while?" She looked back up at him her eyes searching him for an answer she knew that wasn't there. Who am I? "sometimes not remembering is even worse than if you did." He immediately knew what that meant, it was usual for a hollow not to remember their past as it is for them to remember. Usually they'll forget their human lives if they die with bitterness or regret, or even through fear, even the way they die can play a role. He looked up at her, his care began to show. "You poor thing, it must be hard to be alone with your memories completely gone and being alone. You know, you and Ren have a lot in common, you both don't have your human memories and you're both fighting alone. That guy is such a loner, it's a shame that it's been this long and he still doesn't belong to a squad yet." "..what makes life worthwhile?" She asked him, that was almost an easy question, easy enough for him to give several answers if he really thought about it. He speaks completely from off the top of his head. "It's up to you to decide what makes life worthwhile, there are a lot of things that you can do. Socializing with the more advanced version of a hollows such as yourself, striving to become stronger, meeting new people, having fun wherever you go. Just because you're dead doesn't mean all life is over and everything has come to an end, it's all about what you do to make it fun and worth living. Did that help any." He gives a genuine smile as he tilts his head to the side. "Kind of but there aren't may of us left to talk to." She stretched her wings and chuckled at his mentioning of herself and ren being similar to one another. "Similar huh, I doubt we are all that similar to one another. So tell me what are you going to do now that your back in control?" She looked up at the sky as it was turning pink from the sunset and the stars were starting to twinkle dimly. Most of the other birds by now would be huddling together for the night to roost. There were also the sounds of distant hollows howling as they started there nightly hunting. There were very few so many were very weak or completely new hollows like herself. "Kind of but there aren't many of us left to talk to." She said, it was true, there were very few people that they could talk to, it was like almost everyone had either no real ability to talk or they simply were not accepting them if they could, there were probably others, hidden in the shadows, but then he thought about it, maybe he could get a gigai for both of them, that way they could have fun doing the things that normal humans would do. "Similar huh, I doubt we are all that similar to one another. So tell me what are you going to do now that you're back in control?" He was surprised when she thought that he was the original personality, it was the other way around. He looks at her, then suddenly felt faint for a brief second. "Oh don't get me wrong, I'm not back in control or anything like that, I'm just simply taking over for a short time, he'll be back, I'm not sure when but when he does I'll talk to him midway in the personality swap in order to keep him from trying to attack you. I guess I could always buy a gigai and explore life as a human, I'm to this point unaware of how humans operate. If you want I can buy you one too." With the he looks down, then strait ahead, the day was fading into nightfall fast, if he were going to buy something then he should probably do it now, he knows how the shop owner hates to take night time customers. 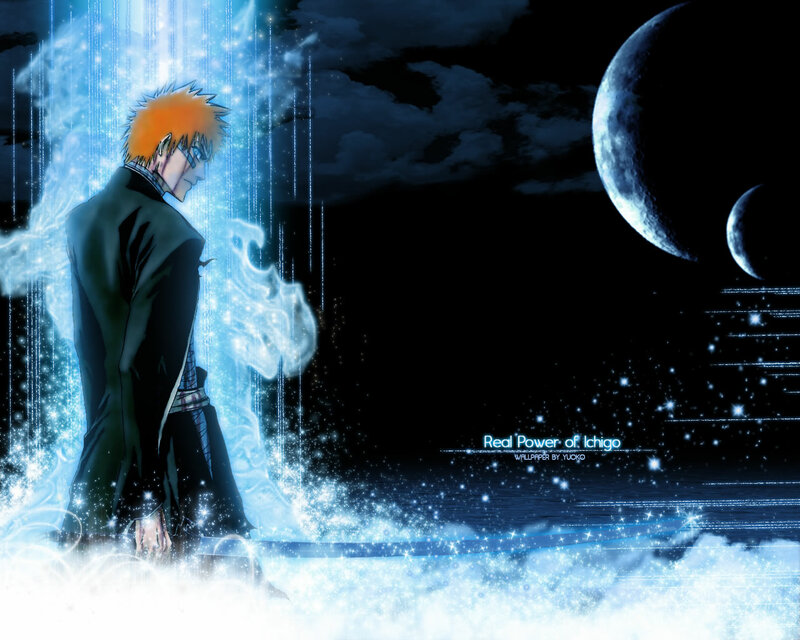 "I'v never heard of a hollow being able to use a gigai then again I guess we don't get the chance to. Alright this should be interesting I should know more about humans anyway if I'm going to stay here for awhile." She jumped up a little taking flight and hovered in place flapping her wings to stay up. This could be quiet useful to get to know her prey better so she could learn to hunt them in quicker ways then she has been. "You better go alone its not like I can follow you inside and expect to not be attacked by someone." It felt good to stretch her wings again, how long have they been sitting there. It turned out that she just might not kill this guy he seems quiet useful but there is always the threat of the other one. She flies in a little circles over his head for the fun of it. "I've never heard of a hollow being able to use a gigai then again I guess we don't get the chance to. Alright this should be interesting I should know more about humans anyway if I'm going to stay here for awhile." He smiles, it seems she may be able to understand what it means to be human again... The same could be said about him as well. "There ya go, in no time you'll have fun as you'll be able to communicate directly with other humans, imagine yourself being reincarnated." He said as he got ready to jump off, he would have most of the money to get the kind of gigai that he had in mind. He would just have to pay for the extra after he got paid from his next mission, whenever he came around to it. "You better go alone its not like I can follow you inside and expect to not be attacked by someone." She had a point, even if she was a sweet person she still was a hollow nonetheless. It really would pose a threat to her, so it was only natural that he goes alone. He nods then jumps off with a spectacular front flip landing. He began to travel to the shop while the girl flew circles above his head. When he got there he went in, bought two special gigai and two mod souls. He bows and promises to bring the money that he owed from one of his missions. He comes back and holds one of the gigais out in the form of a blow up ball. "here, go ahead and blow into this, when you do it will transform into a body that you can use." He began to blow the gigai ball into an exact version of himself with a white T with a black fur leather jacket and black boots. "These gigai are special as it will allow you to use our magic but that's about it, everything else about us is completely normal." He then jumps into his gigai and wait to see what heres would turn in to. He also stuffs one of the mod soul pills into his pocket. She looked at it for a moment then hesitantly blew up the gigai. It was in the shape of a small girl around seven with long red hair and gold eyes just like hers. Could this be what she really looked like before or was it just the embodiment of her hollow soul. The little girl was wearing a red gothic like dress to match her hair and black knee high boots. Rekka flied closer then went inside, her body felt heavy at first but she could move it around pretty easily. She looked down at her hand opening and closing it a few times. Hands.. I'll have to get used to this and I guess I won't be flying without my wings. She looked up at him and played with her hair a little. "So this is what it feels like.. feels kinda heavy really and there is no claws or anything. I thought a human would feel a little stronger then this.." she said with a hint of cluelessness. "And why am I so much smaller then you are?" Her child like innocence was showing now because she knew nothing of this sort of thing. Now that they both had their gigai ready, he held out his hand. "Well come on, there's a lot of things to be done." He said, he didn't know where to start, there were multiple activities to be apart of. They could go to an arcade, he's never actually played a game before so it would be something new to him. There was also the option of going to school, that was the least interesting part of being a human, however it was the easiest way to socialize with other humans. He also kept in mind the usual celebrations that they have every year, those are the most fun times to be in Karakura, however, nothing was happening as of right now. Lastly he couldn't forget the sports and available clubs, they were equally fun and they last forever. "Hey, I've got an idea, lets go buy candy from the store." Rekka looked at him "Candy..whats that" she asked with a tilt of her head. She had never heard of that before and was curious to find out what it was. She looked around to see other humans walking by and some looked back at her with a sort of odd look. "Look at that little girl isn't her hair an odd color, did she dye it?" A man whispered this to the woman next to him and they both chuckled. She could hear them perfectly well because hollows had better hearing then most. She looked back over her shoulder at them glaring a little and they immediately turned away from her. She turned back toward where hiru was and looked up at him again. "Candy... what's that?" Hiru was surprised that she didn't know what candy was, but then it should be expected for some people not to know about it. He smiles and responds. "Well candy is..." He stopped speaking whenever she looked back, he tried to figure out what it was but his attention was drawn back to her when she looked back at him. "Come on, it's better if I just show you what it is." He then began to walk in the direction of the shop, wondering what sweet she would want. He scratches is head as he thought about it. Rekka followed after him though she wasn't used to walking yet so every once in awhile she would almost trip and fall over but she managed not to. When they made it to the store rekka looked into the window at all the brightly colored candy. The shop itself was a light pink color and candy and chocolate stood inside neatly wrapped in there wrappers. There were even a few cakes and cookies as well. She opened the door and went inside and started to look around. She set her eyes on one of the chocolate cakes. The brown cake was covered in white icing and a chocolate rose surrounded by strawberries. She sniffed the air a little to find that it had a warm sweet scent to it that almost made her drool a little. So candy was to be eaten she thought to herself taking another look around and the different colors of candy and cookies. She looked back at the cake and tried to open the casing to get at it. When they finally reached the shop he opens the door for his new friend. He watches Rekka as she took a look around, checking the area for something that she wanted. He couldn't help but glance around at some of the sweets himself to see if one would get him interested, when his eyes stopped on spicy candy, he wasn't interested in the candy or the name itself, but the fireball picture on the box had him convinced that it was his type of candy. He gets the box, then reaches into his pocket, pulling out some left over money, he knew he had lied to the man, but he knew he'd be able to pay him back anyway, the problem was that it looked like there was only enough money to pay for one person, so he puts the box back and decides that he'll get his chance another time. As he looked around for her he saw her looking at a piece of chocolate cake with white icing on it. He was instantly surprised when she went to try and open it, he didn't know if she could do that but he figured as long as he paid for it then it wouldn't be a problem. "Is that what you want?" He asked. "I can buy that for you if that's what you really want." He smiles, then somebody walk's up to him and starts a conversation with him. "Wow is that your daughter?" He winces for a moment at the woman's question, then shakes his head. "Oh no-no-no that's myyy, sister." He looked back at the girl then looked back to the woman. In reality they arent realated in any way, other than he can control fire and mostlikely she could too. He suspected that the woman would want to see his mom and dad but then he figured he could just make up an exuse if so. "Your sister eh, now that I'm thinking about it, isn't it a little late for you two to be out here?" She asked him, he knew what to answer that question with, it was almost like he's been asked this question before. "Well, yeah, it is rather late but I couldn't help but to get candy for her, I cant remember the last time she's ever had any." That's because she's never had any before, but there's no why she'd believe that if I told her, he thought to himself as he smiled. "Oh really, well that's nice of you to take care of family like that... Now if only I could get the twins to act like that every once in a while instead of them always being at each others throats..." She said in a dissapointed voice, he wondered if the twins were in the "Sibling's Quarrel" phase, he felt sorry for her. "So what are the twins like, have they always been like that or is this something that just sorta happened?" He asked, there could be a possible solution to the problem, it all depended on the answer that she gave him. "Well let's see, I think this started about a year or so ago, before that they were like..." She paused at her as she tries to think of someting. "Two peas in a pod?" He asked. "Yeah, that just about explains it, now it's like they don't want anything to do with each other anymore." She had a worried look on her face. "Well have you asked them what caused them to hate each other that much?" He had a feeling that she didn't by the sudden change of her facial expression. "No, I didn't ask, I never thought to." He figured he could give some small advice that may end up helping her later on. "Well why not give it a try, even asking can sometimes resolve a situation... They may hate each other and not even know why at this point, so by asking them it will cause them to question themselves and may either end up with them dropping it right then and there or they will end up giving you an answer." He then scratches his head. "Or it could end up making them realizing why they hate each other and end up making them hate each other even more, either way, it's best to try... Ever heard the old saying,'Nothing ventured nothing erned or something like that, well I believe that it best to venture on while you still can, did that help any?" He asked. "Yeah, that did help, thank you." She then walked out of the store to a place unknow. Looking up from the case and the cake she stood up her eyes narrowing slightly. She walked over toward hiru standing a small distance behind him leaning against a case with the cake in her hand. "You felt it to didn't you, she is in danger." Rekka said this rather flatly, personally she didn't care of those hollows pretending to be her children ate her she wasn't very tasty by the smell of her. They were only going after there first kill, the closest person to them. She took a bite out of the cake, it was sweet and tasted a lot better then the souls and hollows she ate yet it didn't fill a thing. She was still empty inside just like every other hollow out there. She had probably done the same thing if anyone close to her was still alive but she couldn't remember all of her victims. The only benefit she would get from this is eating the hollows that were attacking the women but why not let them eat her first so they could get a little stronger before she ate. As he turned around he saw Rekka eating the cake she was looking at, he paused for a minute then figured he didn't have to show it to the shopkeeper to pay for it. "You felt it to didn't you, she is in danger." He shrugs, unsure how he was feeling. "I don't know, I definitely feel something though, like something isn't right." He says as he gives pays for the cake. "Whatever it is it's up to you if we check or not." He was prepared for either answer, but he would prefer to help. "If you choose not to help then there are other places that we can go to." The store was only a small part of what they could do. Rekka laughed a little and grinned at his thoughts of her helping the woman. "I'm not going to help her, I'm going to let them eat her and then I'm going to eat them." Her gold eyes now showed her cold sadistic nature. She got up and walked toward the entrance of the store. "They will fill me more once they have eaten her unlike this cake even though it tastes much better." She crushed the last bite of the cake in her hand and let it fall to the floor her fingers sticky with the icing. Licking her fingers she looked back at him with the same grin on her face " they should be attacking her now." She took the soul candy he had brought from his pocket earlier and roled it between her fingers and looked out the window waiting. As Hiru too a step towards the door he stopped mid way from the disturbing laugh. "I'm not going to help her, I'm going to let them eat her and then I'm going to eat them." He winced at her cold words in surprise, was this really the same person he was talking to when he first met her? He couldn't believe the sudden change from innocence to sadistic, he looked closely at her, is this a joke, he asked himself. "They will fill me more once they have eaten her unlike this cake even though it tastes much better." He froze, he didn't want to believe what he was hearing, he wanted to accept it as a joke, but he knew she wasn't joking. "they should be attacking her now." She said as she looked out the window, he shrugged, he didn't know what happened to her so suddenly but figured he should help her, he could fight the hollows. The twin hollows were on the street with the woman looking terrified backing away with sweat dripping from her brow. "mother lets play" one of the hollows said jumping forward but the other tackled him. "no I' m going to get the first bite brother" he said looking up at the woman. Her chain rattled as she tried to get farther away but both hollows pounced on her pinning her down. The sound of snapping bones and the gush of blood filled the streets. The hollows howled in delight but they still wanted more. Rekka went outside and ate the soul candy ripping herself from the gigai and letting the soul take over the body. She perched herself on one of the hollows shoulders and whispered "lets have some fun" followed by a giggle. The other hollow swiped at her but she flew up so he hit his brother making him growl in pain as the claws scrape his shoulder. Rekka grinned and charged a fire ball this time it was a bit more stable then the last time she had tried. She had made it smaller then the other before firing. Letting it loose the fire ball split into four smaller fire balls surrounding the two hollows before crashing into them to burn and scar them.